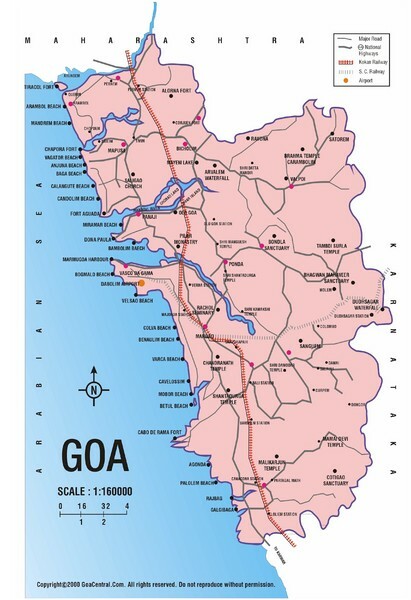 Tourist map of Goa, India. Shows points of interest. 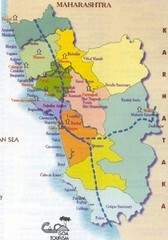 City map of Indian state of Goa. 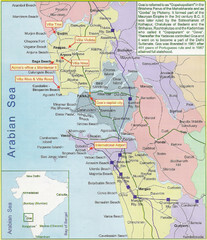 Includes brief history of Goa inset. 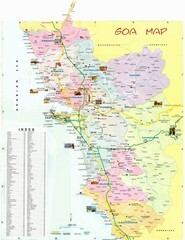 Goa Tourist Map - GTDC Hotels marked along with cities and railways.